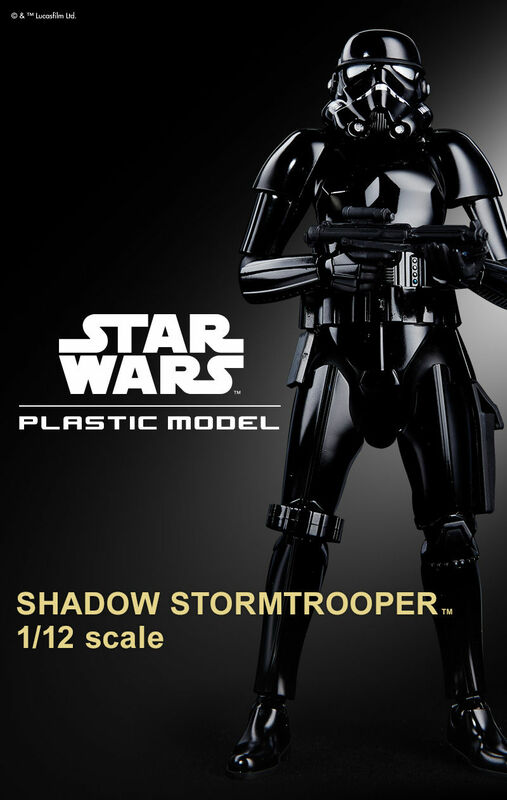 Commercialized black soldier Shadow · Stormtrooper on 1/12 scale Bandai Star Wars plastic model series. Reproduce distinctive colors in molded colors and express the details with a water transfer type decal · marking sticker of exclusive color! 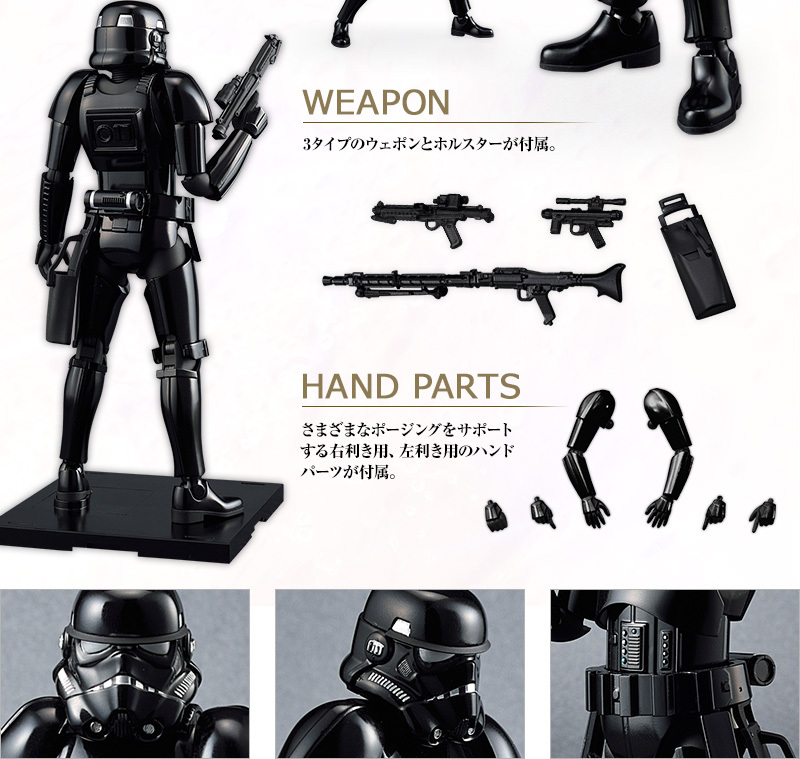 Weapons that extend the range of posing, hand parts, display base included! ! A shiny black molded color reproduces distinctive colors. Each joint moves, enabling action pauses full of dynamism. 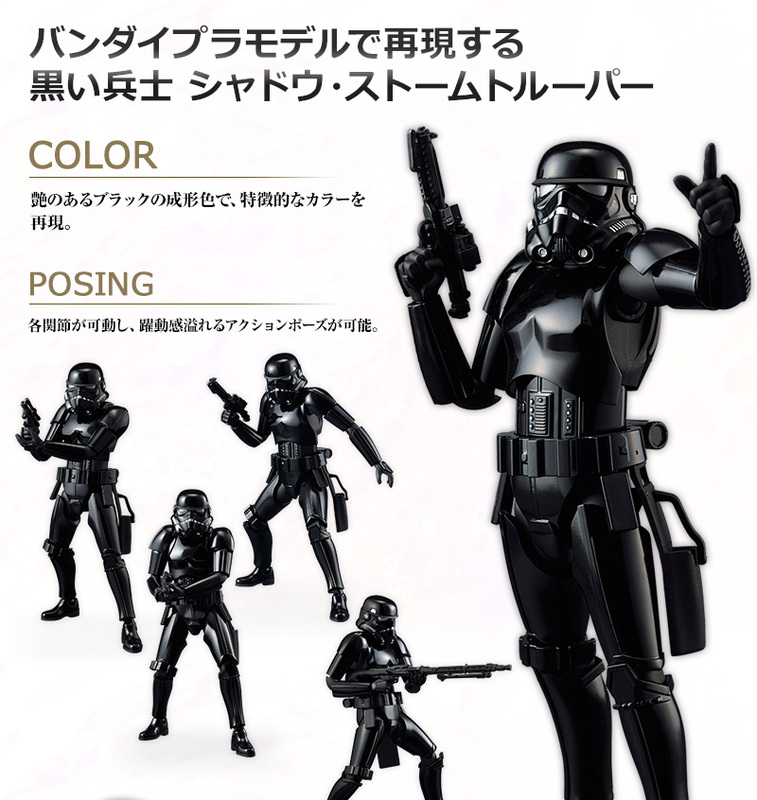 3 types of weapons and holsters are included. Handed parts for right-handed, left-handed that support various poses are included.